Grade Potential is your resource for physics tutors and AP physics tutors you can trust. In order to empower students to reach their fullest potential in physics coursework, our tutors provide highly individualized physics tutoring catered to each particular student. Whether it’s high school or college physics, mastering this advanced science subject becomes easier with the help of a private physics tutor. Grade Potential’s AP physics tutors work with students one on one to clarify tricky concepts. We come to you—on your schedule and at your location. What’s more, we customize our support to your particular personality and learning style. Grade Potential’s physics tutors are experts in the subject matter as well as experts in education. Through personalized tutoring, they empower students to be confidence in physics coursework and to perform better on tests. 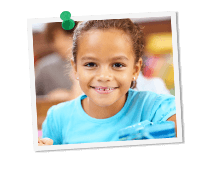 What’s more, because we employ tutors in a wide range of subjects and for various grade levels, our tutors can support you from elementary school all the way to post-graduate work.